A Ukrainian court has delayed a new trial of former PM Yulia Tymoshenko until May, saying the trial cannot be held in her absence. 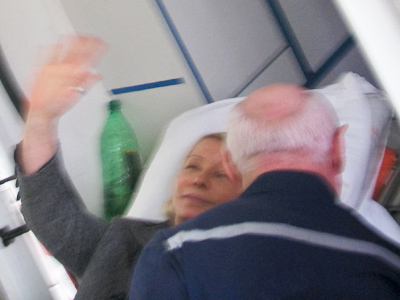 Tymoshenko, who is currently serving a prison term for another case, claims serious health problems. ­The preliminary hearings on her tax evasion case were held in her absence, also due to her poor health condition. For the last several months Tymoshenko has complained about severe back pains, and has been reportedly diagnosed with a herniated spinal disc. Earlier this month, she was allowed to leave prison to go to hospital, but was denied permission to go abroad for treatment. The ex-Premier also claims she has been attacked by wardens during her transfer to a hospital. Prison staff reportedly covered her with a blanket and punched several times. Pictures of her bruised arm and stomach appeared on the web Friday, stirring more controversy around the case. 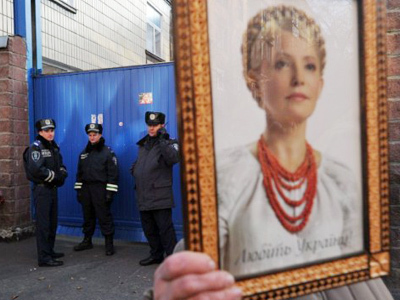 On the other hand, a video has emerged showing Tymoshenko walking in her cell – without any sign of discomfort. The video sparked suspicions thayt she could be faking her illness. 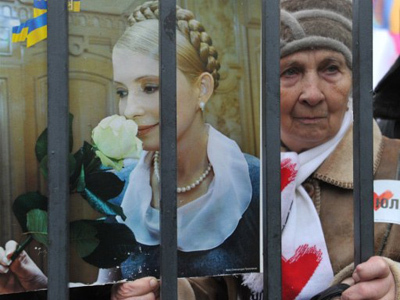 Thousands of people are besieging the court building and the prison where Tymoshenko is being kept, RT's Alexey Yaroshevsky reports. The crowd includes both Tymoshenko’s supporters and detractors. Even more controversy to the case was added by rumors that Friday's terror attacks in the Dnepropetrovsk were staged by the government to draw attention away from Tymoshenko's trial. The ex-PM has repeatedly said that her case is political. She is already serving seven-year term for abuse of power, but now she may get another twelve years in prison if found guilty of evading taxed during the 1990s.